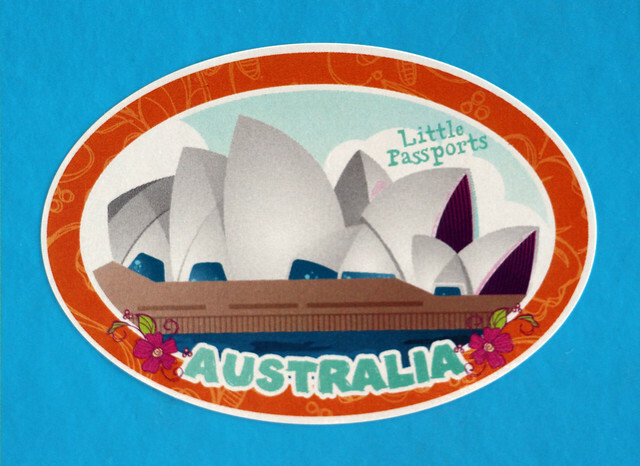 This month our Little Passports kit whisked us off to Australia! We actually got this packet last month, but I hid it from Wyatt for a few weeks because I wanted to have it as an option to pull out some morning when he was looking for something to do after summer break started. I’m so glad I did because when I brought it out he was super excited to dig into it. “I’ve been waiting for a new Little Passports, Mom!” he told me. Why did I turn the photo sideways for the photo? I don’t know! I didn’t even notice until I added it to this post. Wyatt spent a good hour reading though the materials and playing with the items in this kit, which isn’t unusual. As always the “souvenir” was his favorite part. He had fun scraping off the patterns on the card to reveal the colors underneath. He had a lot of questions about the Sydney Opera House, so we spent a bit of time looking at pictures of it together on Google. If you’ve been toying with trying one of these kits, summer is a great time to subscribe. 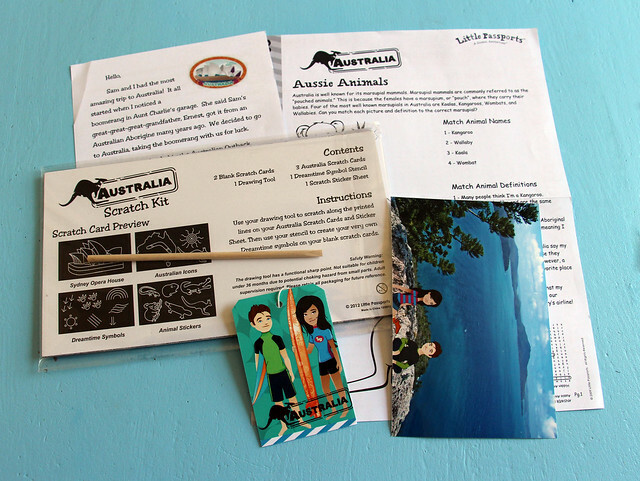 The kits are a fun, play-based way to “travel” and introduce different cultures and countries to your children. A 3 month subscription to the World Edition (the one we get) is $13.95 per month. The USA Edition also runs $13.95/month for the shorter subscription and like the World kit the monthly price drops for the 1 year or month-to-month subscriptions. Disclosure: I am a Little Passports Brand Ambassador and affiliate. I blog about the kits we receive from Little Passports each month but everything I say (or my kid says) about the kits is an honest opinion.